Before the legalization of abortion, before the battles, before the word became flesh and translated into thousands and thousands of women lining up for services, abortion had a particular place in hell. The word was whispered, a shared secret knowledge among women, a lurking, beckoning danger approached through necessity. The act was relegated to "back alleys," performed by hacks posing as doctors, well-meaning friends or relatives, and often by women themselves, alone in their bedrooms with their hangers or knitting needles. A small number of fortunate women had access to one of the few "doctors of conscience" and escaped the ordeal unscathed. Where the procedure ended successfully or in tragedy, illegal abortion was kept in the shadow. Until it wasn't. In the early seventies what was once only whispered about was now cocktail party conversation, a political discussion point, and the subject of constant media attention. Radical feminists like the Redstockings helped thrust it into the public eye by holding a speak-out on abortion in New York City. For the first time, women defied law and custom to publicly share stories about their criminal abortions. Some even spoke with paper bags over their heads. "We are the ones that have had the abortions… This is why we're here tonight… We are the only experts," said a woman testifying in 1969. New organizations, alliances, and coalitions seemed to be forging almost daily to fight for and against it. Soon the problem morphed into a political football, a birth control problem, a population control necessity. Abortion inspired a made-for-television movie, pro-choice art exhibits, concerts, T-shirts, and poetry readings. 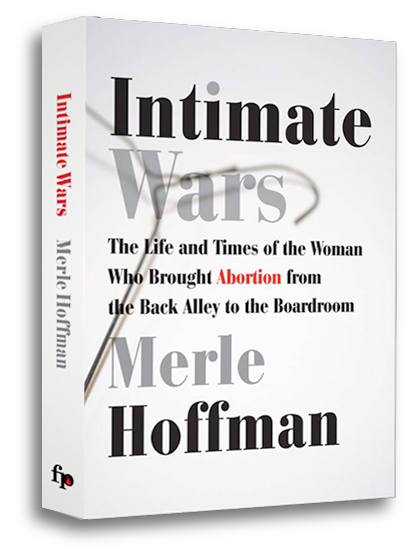 Before abortion became legal on a national scale, clinics were the outposts of feminist politics, their workers grassroots missionaries who believed that the decision to have an abortion was a question of moral agency, an assertion that the power of the state must stop at one's skin. Several underground feminist abortion providers opened for business with the goal of catapulting their theories into action by offering clean, safe, affordable abortions. Clinics such as the famous Jane Collective and the Feminist Women's Health Center in Los Angeles were run and owned by groups of women activated by the knowledge that illegal abortion providers left women (especially poor women) vulnerable to death and butchery. Feminism was in the air, and I finally noticed it on the periphery of my consciousness. It was in great part thanks to the ideals and dedication of these feminist activists that abortion was legalized and Flushing Women's was able to open in the first place. But our clinic was not founded on feminist theory or activism. In fact, I started my work in the world of abortion from a very non-theoretical place. Marty was promoted to medical director of the small HIP group in Queens with whom Flushing Women's would share offices, so the responsibility of running the new abortion clinic fell to me almost immediately. The fact that I had almost no idea what I was doing didn't stop me from diving in headfirst to embrace the challenge. I organized the appointments, created the charts, designed the logo and stationary, and hired the staff. I remember the first patient I counseled. She had come to us from New Jersey because abortion was still illegal in that state. She came without her husband, but she had a supportive friend whose face betrayed a well of empathetic anxiety. I was nervous. In this, as in all of my other tasks at the clinic, no one had trained me. What could I say to her? What would she say to me? All my psychology courses flooded into my brain… theories, theories, and more theories. This woman was terrified. She was pregnant and did not want to be. Coming here had required an enormous amount of courage, and now she was in my hands. I was to guide her way. I was to be her bridge, her midwife into the realms of power and responsibility that are so much a part of the abortion decision. I held her hand tightly in mine as I listened to her nervous staccato breaths. I kept her talking to help ease the discomfort of the dilators. I locked her eyes on mine, breathed in rhythm with her, joined with her to the point of personal discomfort. In the end, I do not remember a word of what passed between us. It was strangely irrelevant. But I do remember her face. And I remember her hand, the hand that came to symbolize the intimate, personal connection of one woman helping another, the gravity of forging a natural alliance with that woman and the thousands who followed her. That understanding was to come to me later – much later. That day there was only that woman, her fear, need, pain, strength, vulnerability, and hand.